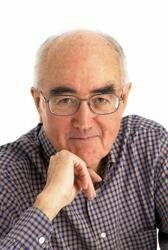 Hailed by The Washington Post as “one of the most intriguing minds in the Western world.” James Burke entertains audiences with his unique perspective on the process of innovation and how it causes people and institutions to change. When James received an M.A. in English from Oxford University, little did he know that his career path would lead him inexorably in the direction of television - and science. After graduation, he chose what then seemed the logical route -- teaching English at the Universities of Bologna and Urbino, and directing the English Schools at Bologna and Rome. He also collaborated on the production of a major Italian-English dictionary (Zanichelli) and edited sections of the Wiedenfeld & Nicholson Encyclopedia of World Art. In 1966 Burke moved to London and BBC Television. Between 1966 and 1972 Burke produced, wrote and presented a number of major documentaries for BBC TV, and was co-host of a prime-time weekly science series, Tomorrow's World. He also anchored all the BBC's coverage of the Apollo moon flights. From 1972-1976 he produced, wrote and presented the weekly prime-time one-man science show, The Burke Special, for which he received the Royal Television Society's silver and gold medals for excellence in television. Burke's fascination with technology and its impact on society led in 1979 to the highly-acclaimed, prize-winning series, Connections, a ten-part science-history series that was filmed in over 19 countries and 150 locations. The program took a series of seemingly unrelated events, people and situations and fit them into a puzzle that helped explain the fundamental process of social and technological change. As Burke notes, "There is always a connection but, if the link has never been made before, nobody knows its there." When first broadcast in the U.S. on PBS , Connections achieved the highest-ever audience for a documentary series in the United States. To date, the series has been broadcast in more than 50 countries and is on the curriculum of some 350 colleges and universities in the U.S. The companion book has been a best-seller in hardback and paperback on both sides of the Atlantic. From Connections and the story of technology, Burke moved to an examination of the brain and the nature of human perception in a six-part series, The Real Thing, a BBC production that has been aired in some 30 countries. Throughout the 1980's, Burke continued to produce and host several critically acclaimed and award-winning programs for the BBC and PBS including, The Day the Universe Changed, a ten-part series that aired in 1986; he anchored the coverage of the return of Halley's comet; and produced After the Warming, a provocative two-hour mini-series on The Greenhouse Effect. In 1991, he hosted (for the National Gallery of Art, Washington, D.C. and PBS) Masters of Illusion, a program on Renaissance painting. In 1995, he produced, wrote and hosted for Discovery the twenty half-hour Connections II, and in 1999 he directed, wrote and hosted the ten-hour Discovery series Connections III. In 2004 he wrote and hosted for PBS a retrospective of his work entitled Reconnections. Burke is the best-selling author of Connections, The Day the Universe Changed and The Knowledge Web. His most recent titles are Circles, Twin Tracks and American Connections. Burke leads audiences on a journey through the history of science, technology and social change, showing the interconnected nature of the world, stimulating innovative thinking, and revealing the remarkable serendipity behind humankind's tireless commitment to invention. His latest project, launching in 2011, is an online interactive knowledge mapping system to be used as a teaching aid, a tool for innovation and management, and a predictor. He was a regular columnist for 6 years at Scientific American and recently wrote the Epcot 'Welcome tour' script for Disney. He is also on the U.S. lecture circuit, keynoting for organizations such as IBM, Microsoft, Cisco Systems, NASA, MIT, VISA, the United Nations and the European Parliament. Addtionally, he was nominated for an Emmy and holds three honorary doctorates for his work in communication. James was born in Londonderry, Northern Ireland and currently has homes in London and on the French Riviera.